For a college basketball team it’s a blessing and a curse to be a member of the Atlantic Coast Conference (ACC). On one hand, the college basketball powers that be fawn over the ACC. That means a team in the conference is automatically given preferential treatment over an equally talented team in a lesser conference. This is particularly true when it comes times to select teams to play in the NCAA Tournament. Teams that would be written off as ‘marginal’ if they played in another conference get into the field with ease. This year, for example, the people that make NCAA tournament field projections think that as many as eight ACC teams could get an invite. At the moment that would include Clemson which brings us to the ‘curse’ part of playing in the ACC. It’s a miserable grind to play top flight teams night after night. Good teams get beat down and bad teams simply get obliterated. Clemson falls somewhere around the ‘good teams get beat down’ part of this equation. The Tigers started the season 10-4 but went through a brutal run at the start of the conference season where they went 1-5 SU/2-4 ATS. They’ve started to turn things around and won three straight both SU/ATS and can run their conference record to .500 with a win here today. Worth noting that all three of these wins were by double digits–the first time that Clemson has won three straight ACC games by 10+ since the 1974-75 season! Virginia Tech is a decent enough team but it’s really hard to categorize them as one of the ACC elite. It’s even more difficult to justify their #11 national ranking and they’ll likely slip down following a pounding by Louisville last time out. The consensus among college basketball media pundits is that they lack depth and that’s starting to show. Much of their success has been due to the play of Senior point guard Justin Robinson who is out ‘indefinitely’ with an injured foot. He’s one of the ten best in the country at the position so this could be a big problem until–or for that matter unless–he returns. Clemson has really stepped up the defense lately and that’s bad news for the rest of the ACC. The Tigers are nasty when they commit to playing good team defense and they allowed a total of 79 points in wins over Wake Forest and Georgia Tech. That’s the fewest points the Tigers have ever allowed in back to back ACC games. The loss of Robinson for Virginia Tech is huge and doesn’t seem to be priced into the line here. 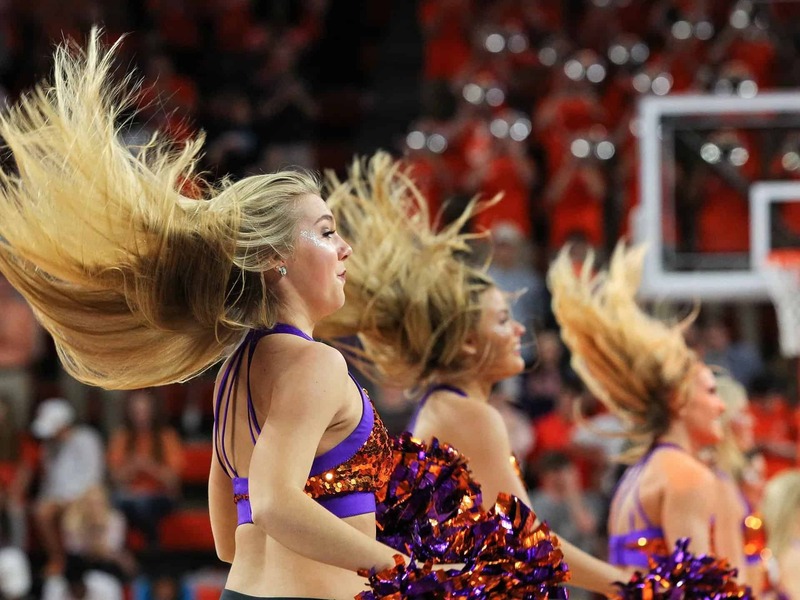 Clemson has been a tough opponent at home (10-2 SU this year, 26-9 SU L3 years) and the Tigers know they need a defining win to buttress their NCAA tournament case. Given the way they’ve played and the issues with VaTech they should get one here.